Choose Genuine Lexmark Supplies for Genuine Lexmark Results. Lexmark offers customers a broad choice of laser toner cartridges and recycling options including easy return to Lexmark. 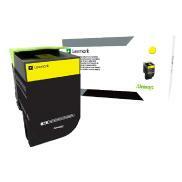 For superior results, always use Genuine Lexmark supplies.